Ballpark Broadcasting – Page 7 – Got Live if you want it ! In case you wish to post, here is a spanish language translation of the WBSC announcement about streaming. (the one that gives prices and says further details next week). It’s from Argentina’s website. Este lunes se anunciaron los paquetes de streaming para el XIV Campeonato Mundial Masculino Mayor WBSC, que se disputará en Saskatoon, Canadá, del 26 de junio al 5 de julio próximo. Dos paquetes diferentes saldrán a la venta la semana que viene, para que los fanáticos de todo el mundo puedan ver los partidos del Mundial. El paquete completo de partidos, denominado Tourism Saskatchewan Deluxe Video Stream Package incluye los 56 juegos del rond robin, más los 17 partidos de playoff. El mismo tiene un precio de $ 24,95 dólares canadienses. El segundo paquete, incluye solo los partidos de playoffs, a un precio de $ 19,95 dólares canadienses. El servicio será prestado por sportscanada.tv y contará con los relatos del experimentado equipo de Ballpark Radio. El link para adquirir los paquetes estará disponible la semana que viene. 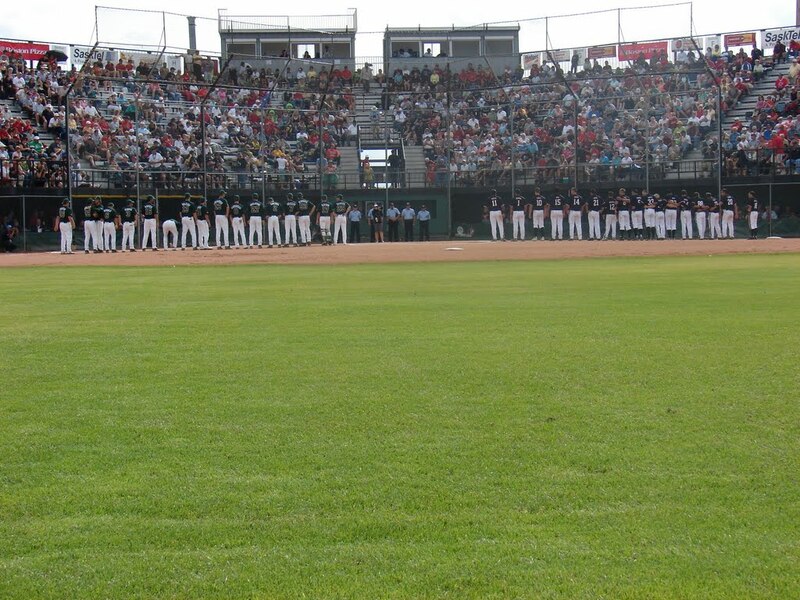 Plant City, FL (USA) – The World Baseball Softball Confederation today announced the pools and official tournament schedule of the 2015 WBSC Men’s Softball World Championship taking place in Saskatoon, Canada from June 26 to 5 July 5, 2015. The fourteenth edition of the men’s flagship softball event will showcase a total of 73 games, 56 in a round-robin format, followed by 7 placement games and 10 playoff games. Nations will be divided into two pools of eight to compete in a challenging round-robin that consists of seven games in seven days, with the top four finishers from each pool advancing to the double page playoff round. The participating nations in the WBSC Men’s Softball Championship represent a global reach that spans across Asia, Europe, North- and South America, and Oceania. All 16 participating National Teams will compete on Opening Day, with action opening on Friday, 26 June at 09:30 local time. Opening ceremonies will begin at 17:30 at the main competition field, which will be followed by Canada meeting Guatemala in front of the home crowd. The gold medal game will take centre stage on 5 July at 14:30, and will be preceded by the bronze medal match at 11:30. Guatemala will be making their historic men’s world championship debut, following their performance at the Pan American Softball Championship held in Paraná, Argentina in November 2014. The WBSC has a full list of official events on the calendar that span from June to November which include the Pan American Games in Toronto, Canada, the U12 Baseball World Cup in Tainan, Chinese Taipei, the U19 Women’s Softball World Championship in Oklahoma City, USA, the U18 Men’s Baseball World Cup at Koshien Stadium in Japan, and the inaugural Premier 12 co-hosted by Japan and Chinese Taipei. We’re just getting settled at our new site, so please be patient with us. We’re still moving furniture, so be careful to look before you sit down.